The town located between Badacsonytördemic and Badacsony on the western side of Lake Balaton has a unique view, and its microclimate always provides pleasant weather. To the North it is protected by volcanic hills, on which a 2000-year-old grape culture flourishes. 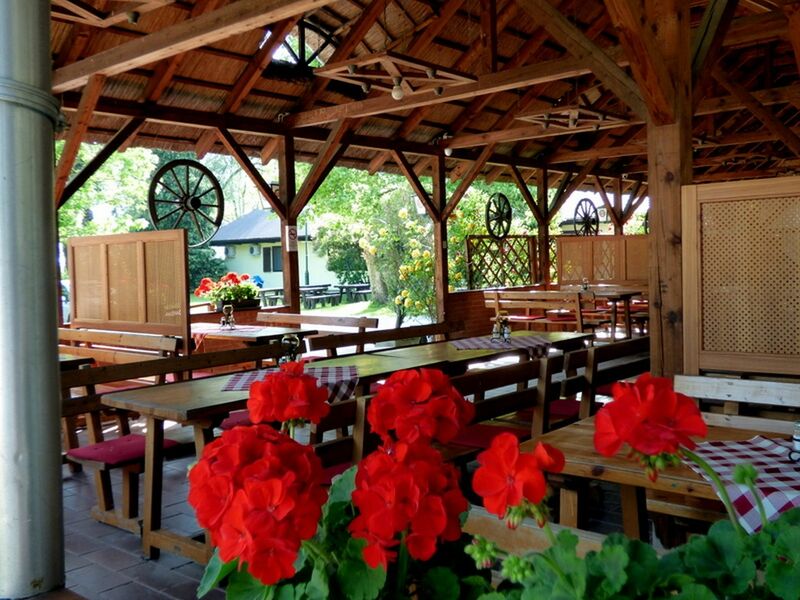 The area wine cellars offer unforgettable opportunities for getting to know the excellent wines. Stop by our place and you will always be our guest, because a 20-year-old family business will take care of your relaxation and entertainment needs. Our campground, located on a 4-hectare area at kilometer 82 on route 71, offers family-style 60-100 m2 campsites in park like, grassy, mainly shady places, with the option of 10 A power connections. 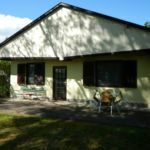 Our beautifully renovated bathhouse meets every need (as well as the requirements of the ADAC), and guests will find shower stalls available there. Our special offer for guests arriving with campers and tents is a buffet breakfast - which has always impressed our guests - which is included in our discounted prices in the pre- and post-season. Besides the places for the caravans there is a possibility to rent rooms. The Tuliphouse with 22 new rooms are waiting for our guests. 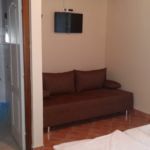 Each room has heating and airconditioing system, television, refrigerator and a modern bathroom. Some rooms are also equipt with a minikitchen. We also thought about big families and groups of friends , because they have the possibility to rent a family appartement . Between the 22 rooms there are 2 rooms for our handicapt quests. These 2 rooms are modern and comfortable with a minikitchen. 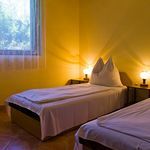 The Swallowhouse has 10 rooms -each room has heating and airconditioning system-( 5 double and 5 triplerooms) and a small appartment with shower , toilet and refrigerator waiting for our tired guests. The attractive prices are include a buffet breakfast. Parking is free and safe, just in front of the accomodation. 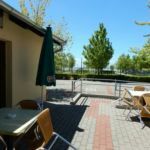 The rating of Balaton Eldorado Camping Badacsonylábdihegy is 9.3 from the maximum 10, 216 based on actual and valid guest ratings and reviews. "Egy éjszakára szálltunk meg, és éppen egy cég tartott valami csapatépítést az étterem teraszán. Nagyon hangosak voltak, sajnos alig tudtunk aludni. Nagyjából éjjel háromig tartott a "bulijuk", nem igazán voltak tekintettel másokra. (Nem tudom, erről tudott-e a szállásadó, mi nem jeleztük. Éjjel tudtunkkal nem lehetett kinek, reggel meg már mindegy volt. A bulizókkal sem beszéltünk, nem tartottuk valószínűleg, hogy "olyan" állapotban hallgatnak ránk.) Erről eltekintve mindennel elégedettek voltunk. Mennénk máskor is." "A személyzet figyelmes és rugalmas, az esetleges problémákat megfelelően kezelik. Nagy területen helyezkedik el. Az étteremben is figyelmesek voltak, a reggeli svédasztalos, folyamatosan figyelnek a fogyó ételekre-italokra." 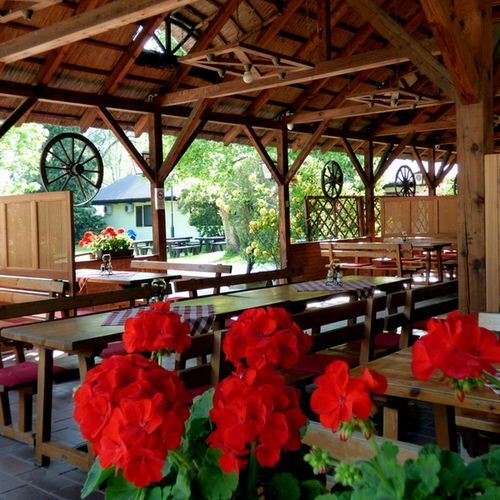 Based on the reviews and comments of actual guests, the services of the Balaton Eldorado Camping Badacsonylábdihegy have received a high rating of 9.3/10.